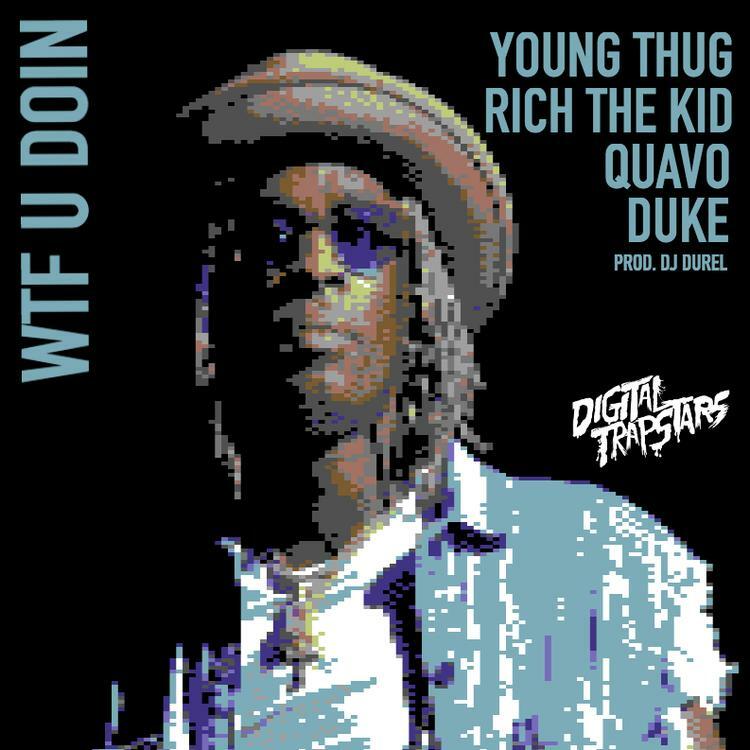 Young Thug, Quavo, Duke and Rich the Kid connect on this previously unreleased posse cut, "WTF U Doin." Your friendly neighborhood Digital Trapstars are gearing up for a fourth mixtape compilation, Screens on Lock 4, to follow up last summer's offering. They've decided to whet our appetites this afternoon with an unheard collaboration from Young Thug, Quavo, Duke and Rich the Kid-- so not much to complain about here. DJ Durel provides frantic production, while there's equal agitation and a sense of urgency in the rappers' verses and hook. The beat sounds like a mounting pile of electronic beeping, although each layer is placed purposefully beside another. Take a listen and let us know who had your favorite verse on the collaboration. Stay tuned for Screens on Lock 4, and of course, Thug's E.B.B.T.G project.